The Hurricanes vs. the Tigers last weekend. 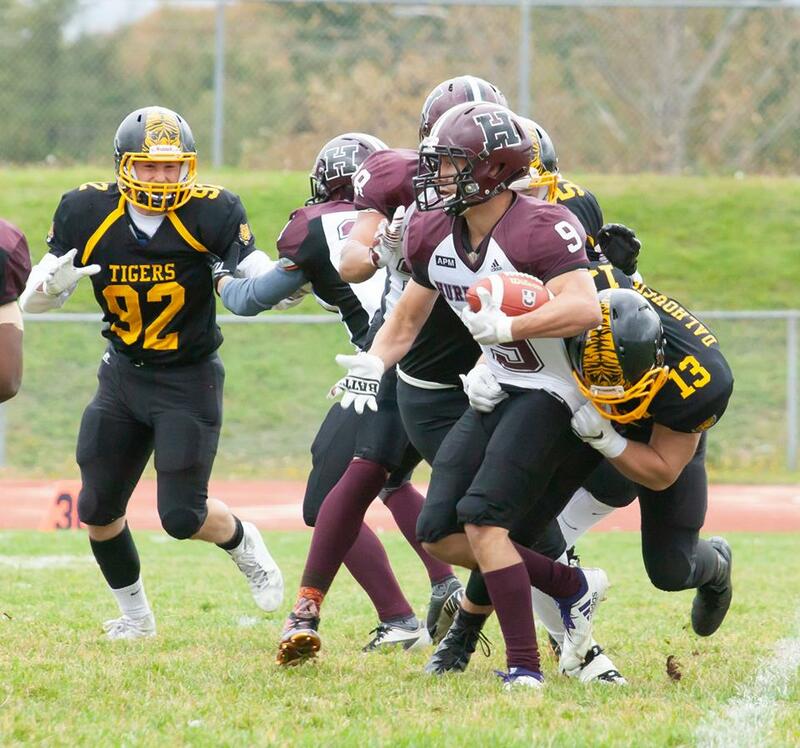 You could feel the energy when you walked up to the field on Tuesday as the Holland College Hurricanes football team prepared for the AFL championship game in Halifax on Saturday against the Dalhousie Tigers. Young added that with a youthful group, it can take a while to come together, but the pieces are finally falling into place. Team unity has been on display all season for the Hurricanes and will be an advantage for them come Saturday. Wide receiver Matthew-Uriah Kaye-Mitchell thinks teamwork and doing your job are certainly the keys to success. At the end of the day, it is all about the basics. “We just need to execute our plays and put up the scores. We know we are good team,” said Kaye-Mitchell. The team will be looking to bring the Moosehead Cup back to P.E.I. for the first time since 2015 this Saturday. To watch the AFL finals online, go to atlanticfootball.co and follow the link to the Bell webcast. Kickoff is 2:30 p.m. Saturday at Wickwire Field in Halifax, weather permitting. If high winds and heavy rain prevent the game on Saturday, it will take place on Sunday. For updates visit the team’s Facebook page.